American Indian pottery has been primarily viewed as a woman’s art for thousands of years. Their pottery has both utilitarian and ceremonial value, as the physical handling of the pottery is believed to bring emotional and spiritual awareness. The past couple of centuries have brought a shift to American Indian pottery; from existing only in their towns to being sought after by museums and collectors. American Indian women began to sell their work outside their homes or on their plaza on feast days to travelers passing by. Slowly, their craft became recognized by experts from around the globe, and thus highly renowned. It is because of the women’s dedication to upholding a tradition that future generations can appreciate the deep history told through the pottery. Similar to Juan Quezada rediscovering the Mogollon methods, some women sought to re-earth knowledge lost long ago. The Southwest had less interference from the Anglo travelers than the rest of America. This allowed their civilizations to carry on traditions that would have otherwise been completely lost. The Hohokam, Mogollon, and the Pueblo have ancestors that have carried on their knowledge throughout centuries. We will take a look at two revolutionary women potters, one from the Navajo culture and the other from the San Ildefonso Pueblo. 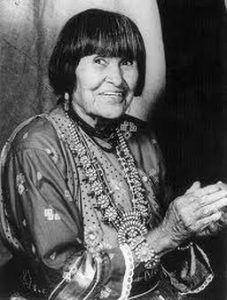 Her inspiration came from the legacy of the Pueblo people. Maria Montoya was an astonishing artist who revived an art: the black-on-black ancient style of pottery. Montoya’s first pots were featured in a museum in 1913, only not to be seen again until after 1923. Her first pots were too rough in her eyes, so she did not produce any pottery for museum collections until she perfected her art. This dedication led her to become one of the most prominent craftswomen in the 20th century. She won many honors, awards, and even the initial grant for the Martinez pottery workshop from the National Endowment of the Arts in 1973. She is one of the most important Navajo potters of the last 25 years because of her success in revitalizing Navajo traditional pottery. Cling created her pottery from clay near the black mesa area in the Apache-Navajo counties in Arizona. Her distinctive red pot pigmentation and lack of traditional markings revealed an important shift in Navajo pottery from function to art. Her work has been featured in the Vice-Presidential Mansion in Washington D.C., and the world-renowned Smithsonian. Both of these women had a secret to their success: they learned their craft from generations before them. 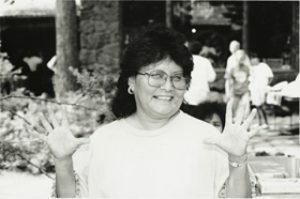 Maria Montoya was taught by her Aunt Nicolosa and later collaborated with Sarafina Toyofa from Santa Clara Pueblo. Alice Cling was the daughter of master potter Rose Williams and niece to Grace Barlow. Without the preservation and determination of these women and the many before them, we wouldn’t have a piece of history so easily accessible to us today. Click here to see the Navajo and Pueblo Pottery Pickle Barrel has in store! To learn more about the information here, check out this essay from The National Museum of Women in The Arts.